I try to keep a positive attitude no matter what is going on in my life. To be honest, there are times when I get down and find it hard to get my chin back up. But I try to keep those times to myself so I don’t bring others down with me. Lately I’ve been having this one problem and it’s about to get to me so I thought I’d share because it is something everyone can help with. First let me say that just to get out of the house can be a struggle many days. It has to be something really worth it to get me out and going. It’s just easier to stay hidden in my caregiver’s cave most days. We do get out, don’t get me wrong – it just takes an huge effort just to go grab groceries or some of the other simple things that most people take for granted. For instance, last Friday we hopped in the van to go to Sprouts to get some grub. I take Chris with me now because we don’t have an aide again. It’s a long story – but basically we changed agencies and it takes some time to get an aide placed. But it really is good for him to get out anyway. Let me paint this picture for you though. I have to get myself cleaned up and dressed – no biggie. But I also have to get Chris dressed, up and out of bed and in his chair. Then we wrestle with the door to make sure I don’t hit any elbows, maneuver his chair off the sidewalk edges and over to the van. Putting the lift down is no big deal whether manually or electrically. I get him on the lift and have to crank it up by hand to get it up so I can get him in the van. Then I still have to get his chair strapped in. There are 5 anchors in all and they all have to be fastened down whether we are going 2 blocks, 2 miles or 20 miles. 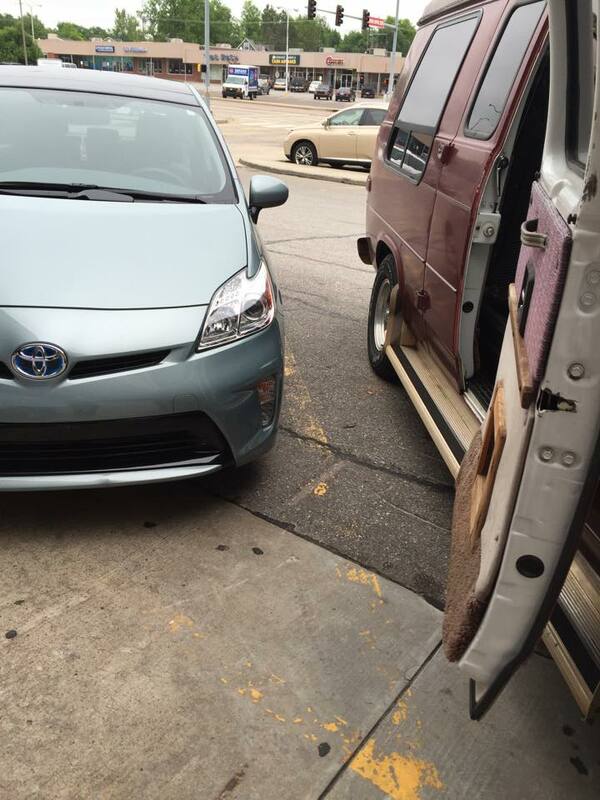 Then I crank the lift into the van by hand – with my backside hanging out because I can’t get out of the van if the lift is on the inside. Once we reach our destination – I have to do this all in reverse. And then I do it all again when we are ready to come home and once again in reverse once we get here. I am not at all complaining – I am so very thankful for the van and that it is up and running! I just want you to understand that our challenges start way before we start getting ready to go somewhere. It’s not like we can hop in the van and casually go to the store. It’s a huge undertaking – and I’m glad we can do it. Some lady had parked her car in the striped area reserved for the lift. You’ll never convince me that she didn’t see it. The young man got the manager and they called for the owner of the car and she finally came out to move it. She said, “Oh I didn’t see the stripes and the ramp.” Which told me she did – but I tried to be nice. So it worked out – I got over it. Evidently Hertz parked their car there and didn’t move it all weekend. No problem there’s plenty of spaces – I just have to take two in order to have room to use the lift. I feel rude about doing that – but it works and I go where I want to. On Monday the owner of Vision Martial Arts went over to talk to the Hertz people and they basically dismissed her totally. 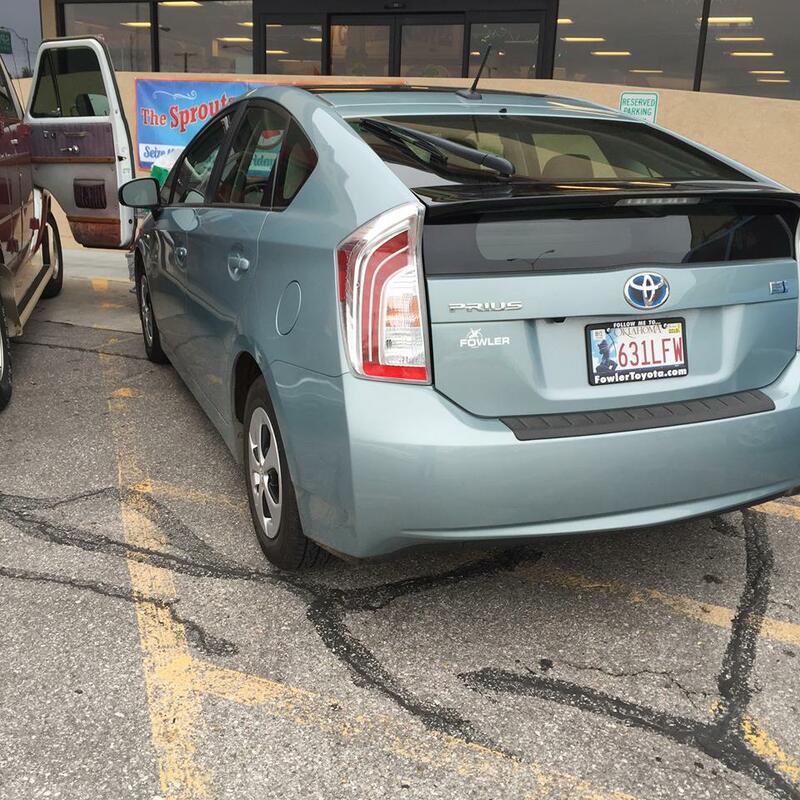 Then on Monday evening there was one of their trucks blocking the handicap spot and my friend mentioned it to them and the car. They rudely brushed her off. I just went ahead and filed an ADA complaint on them. Next time we will call the police and have their car towed. These types of things are so difficult to work through for me. I really am a mostly nice person and I really hate to be rude. I try not to even talk to anyone while I’m mad because I don’t want to say something out of line. But I am living tired. Am I supposed to stay home because we don’t look like everyone else? How is it that people can be so inconsiderate? I really don’t need anyone’s help – I am horrible about asking for help or asking for anything really. I don’t want “special treatment” either. I just want common courtesy. Why is this so hard? I deal with challenges every minute of every day – I should not be challenged to do daily chores. 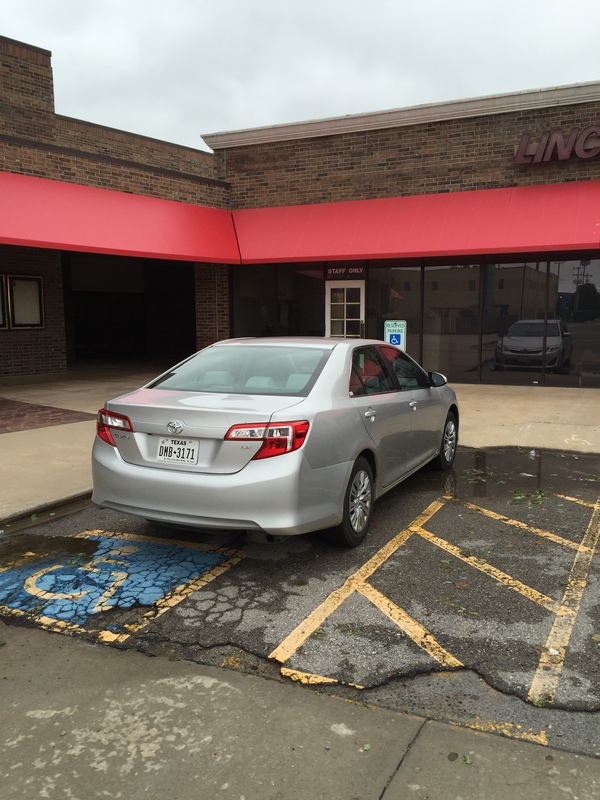 Please think of others if you even think about parking in a handicap spot. Are there people who abuse the system? Of course there is – and there always will be. But there are also people like us out there who have challenges that others can’t even imagine. Please don’t make it hard on us. Pass this along and hopefully others who struggle just to get out of the house can avoid these types of issues. Just be considerate of others period.